Gaby and Matt's wedding at Marina Resort, this fall wedding was wonderfully foggy for most of the day, with sun shine just for the ceremony. The fog helped create really different and interesting photographs. 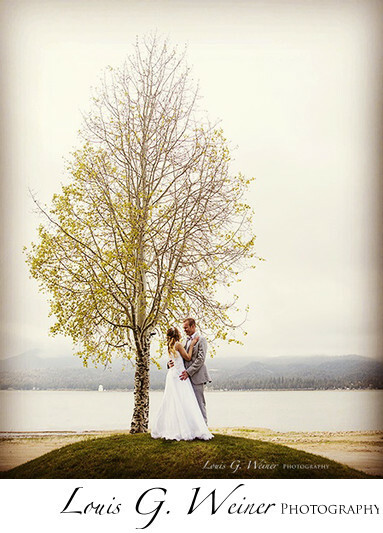 The Marina Resort is one one of the few Big Bear Mountain wedding venues on the water. It is a nice place to get married, in the summer they set up a large tent with one side open to the lake. Marina Resort is also a short walk to the downtown Big Bear lake shopping and dining area. Good restaurants, interesting shops, much of the best of what Big Bear lake has to offer. It has a rustic feel with many rooms for your guests. If you would like to get married in Big Bear on the lake I recommend this venue. Location: Marina Resort 40770 Big Bear Blvd, Big Bear Lake, CA 92315.